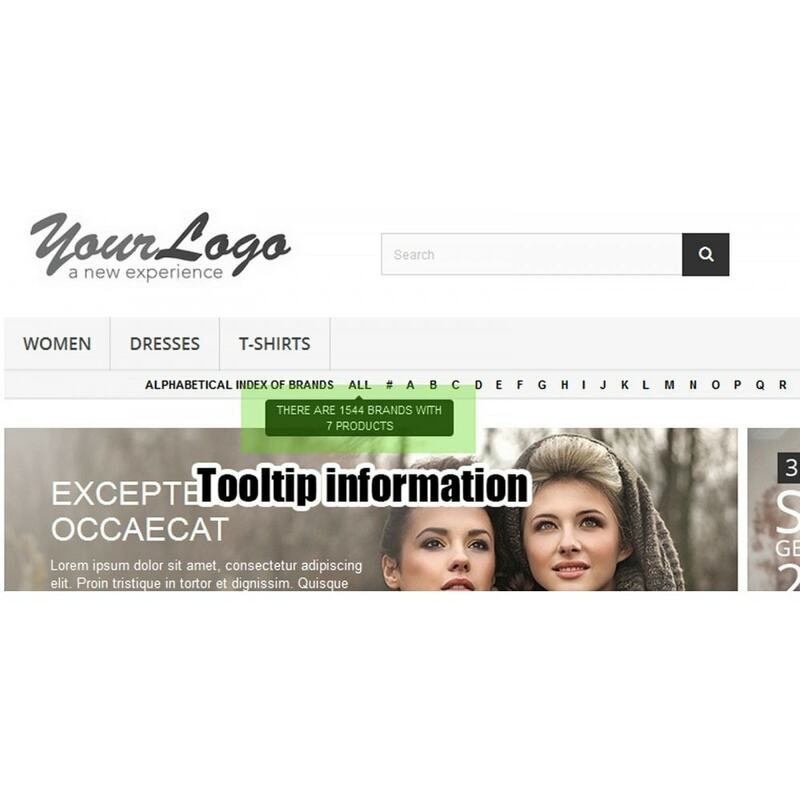 This module improves the navigation of your customers, allowing to find products of an specified manufacturer just by clicking the first letter of its name in the alphabetical top menu. Automatically creates a new top menu with alphabet symbols. 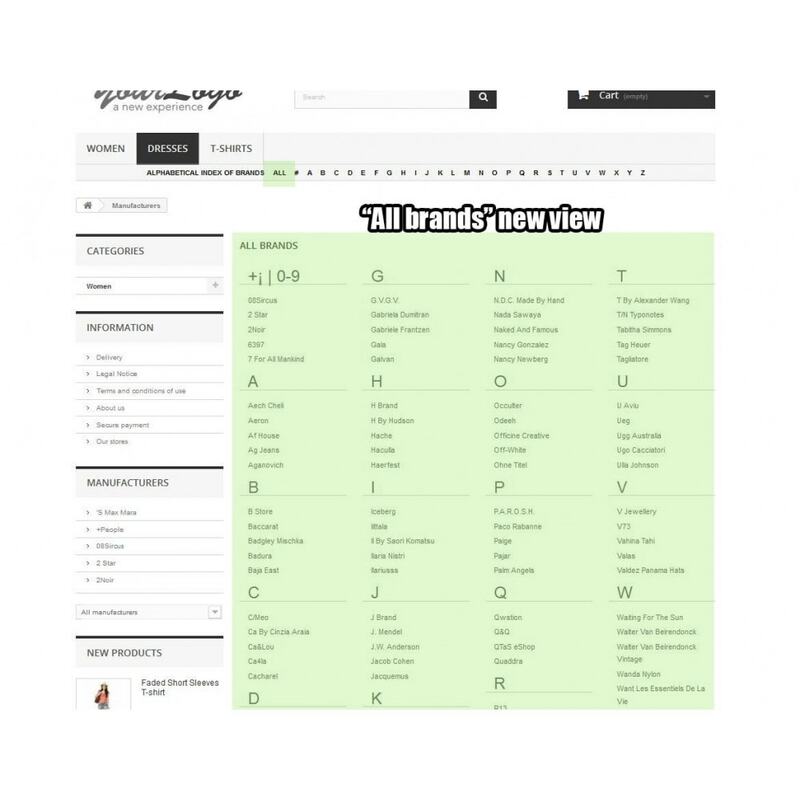 Find all manufacturers/brands that start for a specific letter by just clicking the first letter of its name on the new alphabetic menu. 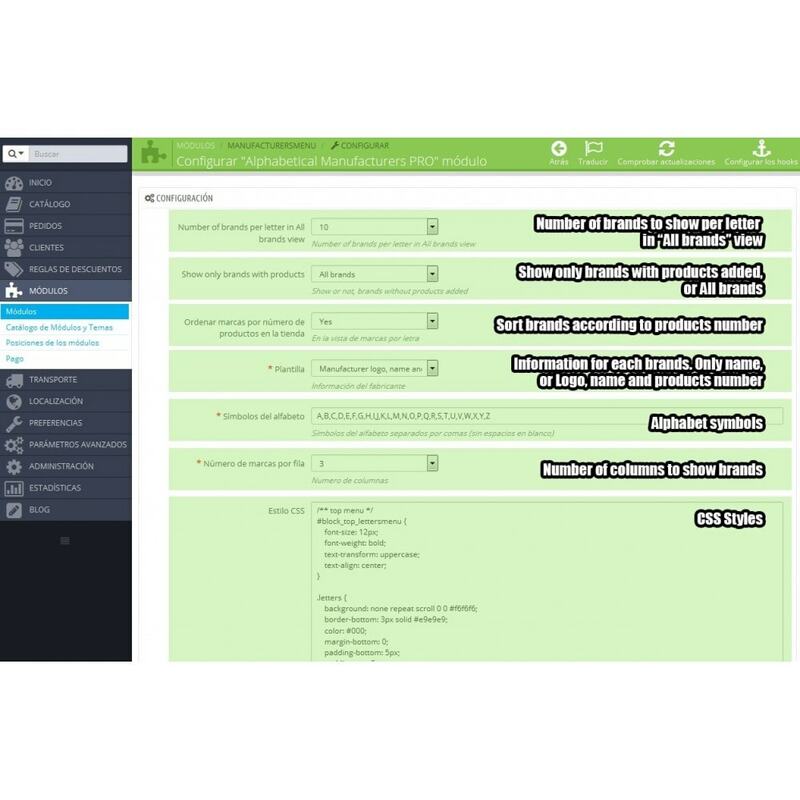 CSS and alphabet symbols may be modified in back office configuration page. Can add a menu link to the module "index.php?fc=module&module=manufacturersmenu&controller=display?letter=all"
Find a preferred manufacturer/brand with just a click. The module installation follow the regular process. Upload the file and install. In configuration page exists the possibility to change alphabet symbols for your language.